There is no shortage of options to choose from when it comes to selecting a ferry from Bali to Gili Islands. There are 9 ferry companies with a combined offering of 13 Ferry Routes connecting Serangan to Gili Air, Padang Bai to Gili Air, Gili Trawangan & Gili Meno, Amed to Gili Trawangan & Gili Air, Serangan to Gili Air, Gili Trawangan, Gili Gede & Gili Meno, Padang Bai to Gili Air, Gili Trawangan & Gili Meno, Sanur to Gili Trawangan, Gili Air & Gili Meno, Serangan to Gili Air, Gili Trawangan, Gili Gede & Gili Meno, Padang Bai to Gili Air, Gili Trawangan & Gili Meno, Serangan to Gili Air, Gili Trawangan, Gili Gede & Gili Meno, Padang Bai to Gili Air, Gili Trawangan & Gili Meno & Serangan to Gili Air, Gili Trawangan, Gili Gede & Gili Meno. The fastest route between Bali and Gili Islands is Padang Bai to Gili Trawangan with a crossing duration of around 1 hour 15 minutes. With so many routes on offer we make it simple by comparing all similar routes in one search so you can quickly find what you are looking for. 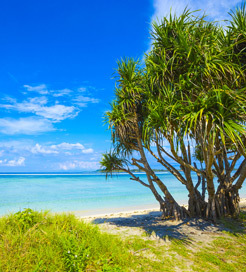 Bali nestles between Java to the west and Lombok to the east in the Lesser Sunda Islands, Indonesia. 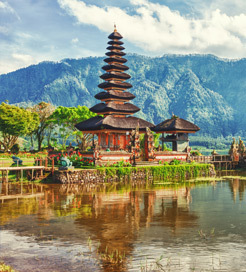 A small island with an estimated 10,000 temples and a vibrant arts culture, Bali has much more to offer than just picturesque beaches and excellent surf. Aside from its natural beauty, the happy-go-lucky Balinese way of life makes it hard to leave, too. Kuta in the south boasts a superb nightlife, Ubud is characterised by stunning rice fields, while the heart of the island is dominated by dramatic volcanoes and hillside temples and shrines, so there’s plenty to see on this incredible island. Travelling by ferry is a convenient way to explore Indonesia’s beautiful islands and Bali is a great departure point for doing so, with a few ports on along the east coast offering frequent routes to the nearby island of Lombok and to the Gili Islands.